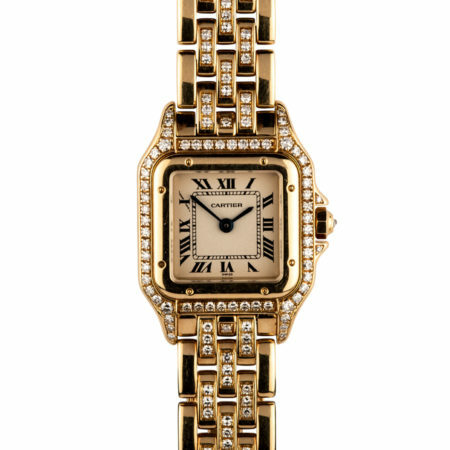 Timeless and iconic, the Panthere has long been a staple of Cartier design as both a watch and an elegant piece of jewelry. 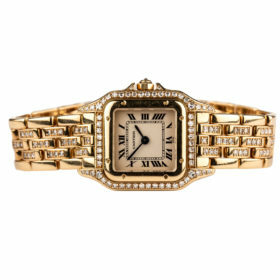 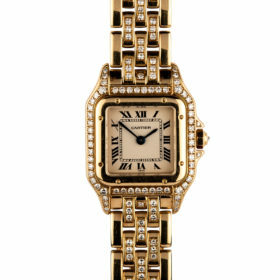 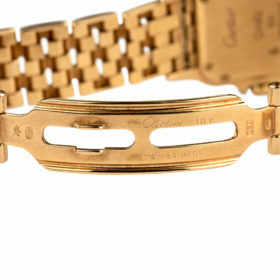 Crafted of 18K yellow gold, this timepiece features diamonds both around the bezel and across the links of the bracelet. 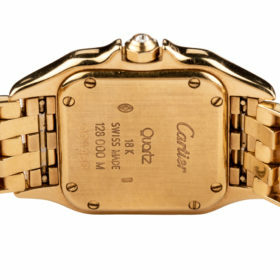 The watch is powered by a quartz movement and the diamonds are G in color and VS2 in clarity.